(P1) Chinese New Year is a very special time for many people. It is also called Spring Festival. 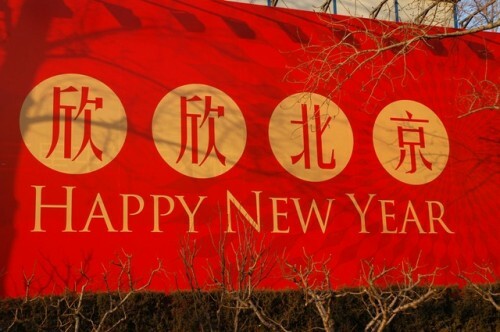 The Chinese New Year always happens after January 1. This is because the Chinese used a different calendar long ago. As a result, Chinese New Year usually falls each year between January 21 and February 20. Each year of the Chinese calendar is named after one of 12 animals. 2017 is the Year of the Rooster. (P2) People in China celebrate the Chinese New Year in many ways. Several days before the New Year, families usually clean their house together. They put up red paper decorations on the windows and doors. It is also common to give someone money in a red envelope. In China, red brings good luck and protects people from bad spirits. The night before Chinese New Year, families will gather to eat a big dinner. Usually, they eat fish. They might watch or even set off some fireworks. On Chinese New Year’s Day, it is normal for people to go to a special New Year’s market. These markets usually sell many different things such as clothing and food. What’s a symbol of good luck in your country? Does anything mean bad luck in your country? Describe a traditional celebration in your country? What’s another name given for the Spring Festival? Each month in the Chinese calendar represents an ____________. The Chinese hang __________ in their houses, especially on windows and ______. The Chinese believe the color red brings ________ and guards against _________. Hello, this part needs editing.